Warner Bros. Interactive Entertainment and DC Entertainment today revealed the Official Injustice 2 Story Trailer – “The Lines are Redrawn.” Witness the story set in motion in Injustice: Gods Among Us as new DC characters join the fight and shape the actions that unfold in the upcoming sequel. Injustice 2 will release for the PlayStation 4 computer entertainment system and Xbox One in the UK on the 19th of May 2017. 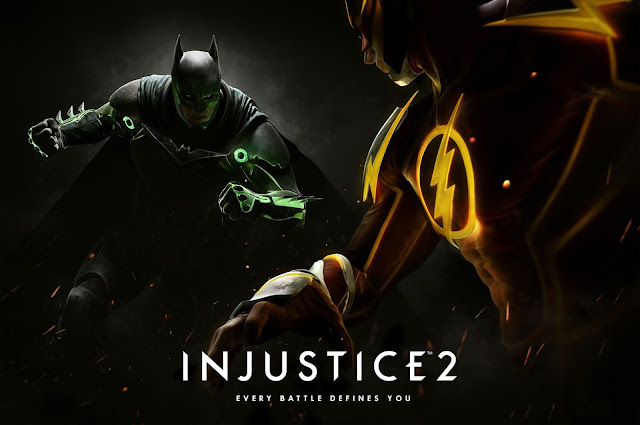 Injustice 2 is NetherRealm Studios' super-powered sequel to the hit game Injustice: Gods Among Us that allows players to build and power up the ultimate version of their favourite DC characters. Featuring a massive selection of DC Super Heroes and Super-Villains, Injustice 2 continues the epic cinematic story introduced in Injustice: Gods Among Us as Batman and his allies work towards putting the pieces of society back together while struggling against those who want to restore Superman’s regime. In the midst of the chaos, a new threat appears that will put Earth’s existence at risk.